Does this sound like a dream? It's not. You CAN wake up Refreshed, Restored and Energized to start a New Day. Get Started Here. Click the Button Above. Physicians continually refer people to me who want to achieve restorative sleep without medication. In this course you will receive the same benefits you would receive if you consulted with me in my psychology practice. It would be like we are meeting face to face and I am helping you step by step with practical, proven sleep solutions. I will bring you the same tools, methods and solutions I teach my insomnia clients. When you begin to have restful, restorative sleep your life will change. You will finally experience life without fatigue. You will be equipped to handle day to day stress with ease. Your relationships will improve, because you won't be “grumpy". Your overall quality of life will improve. Ines Roe is a psychologist who has helped thousands of people achieve their life goals. In her professional practice, people trust Dr. Roe to help them find answers to the struggles in their lives. She has helped people cope with and heal from anxiety, depression, and trauma. 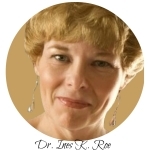 Dr. Roe has worked as an individual and couples therapist for over 20 years. She now brings her evidence-based tools and techniques to you by providing e-courses designed to help students identify the obstacles that keep them feeling stuck, so they can address them and eliminate them. Dr. Roe is founder and owner of Alta Vista Life Coaching which focuses on inspiring people to reach personal greatness. She is a certified Wellness Inventory Coach and an Emotionally Focused Couples Therapist. She has a weekly blog titled “Midlife Mosaic" dedicated to helping people find balance in their lives. Dr. Roe has raised two wonderful young women and lives with her husband in Pennsylvania. She is committed to her own health and wellness and is passionate about inspiring others to take excellent care of themselves. She invites you to join her e-courses for self-development or to contact her for one-on-one coaching.